When one thinks of Mini, one thinks necessarily of the small Mini Cooper with three doors that zips and darts in and out of traffic. And you know what, you are right to think that. That said, the Mini range is much more than that. 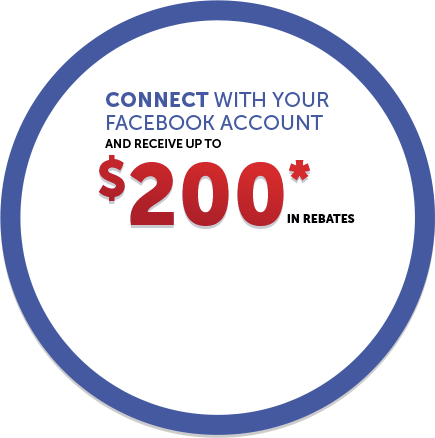 It also offers a compact sport utility vehicle that is the perfect ally to take on winter. Indeed, the 2017 Mini Countryman comes standard with all-wheel drive, and even though it's larger and more spacious than a three-door Mini Cooper, it's still fun to drive. One glance at the 2017 Mini Countryman and you know immediately that this is a Mini product. You will have the same feeling behind the wheel. 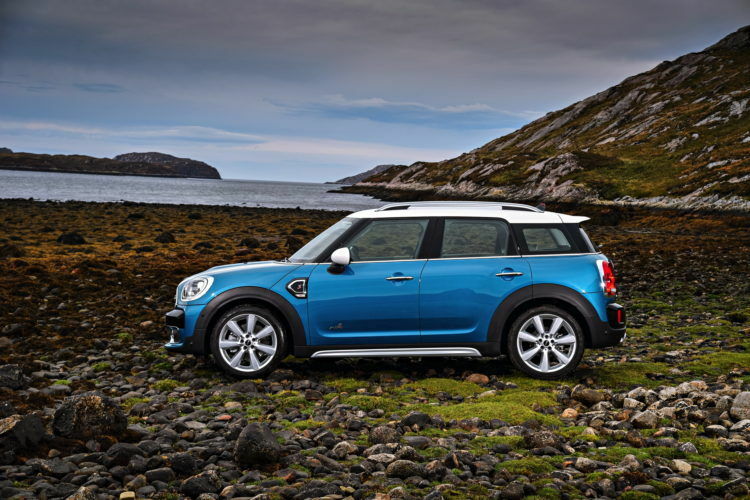 Offered with a 181-hp turbocharged four-cylinder engine, the Mini Countryman is fast and sporty even in its entry-level model which starts at $ 29,950. Offered with a six-speed manual transmission or an automatic gearbox, the Mini Countryman S All4 reaches 100 km/h in just 7.9 seconds. Better yet, it is fuel efficient with an average fuel consumption of 8.6 liters per 100 kilometers with the six-speed manual transmission and 9.0 liters per 100 kilometers with the automatic transmission. If you want even more power, there's the Mini Countryman John Cooper Works All4. The latter is available starting at $ 38,500 and offers a 2.0-liter four-cylinder engine like the All4 S, but power increases to 208 horsepower. That means that the John Cooper Works model can reach 100 km/h in just 7.0 seconds. 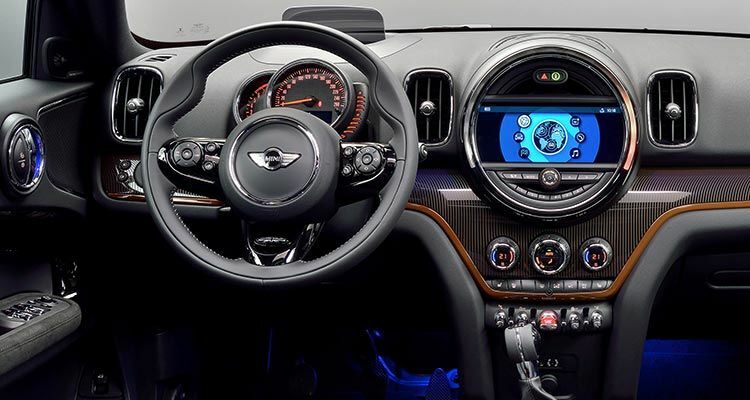 We buy a Mini model above all for its style, but there is no doubt that several Mini owners have at one time or another wished for more interior space. That's why Mini decided to create the Countryman. The latter offers more than 1,000 liters of cargo space, and enough space to seat children or young teenagers in the back seat without receiving any complaints. 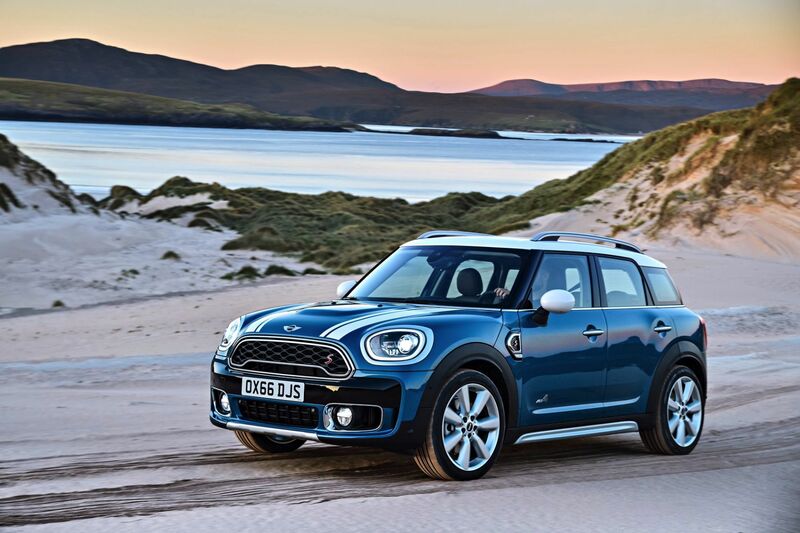 It is obvious that the 2017 Mini Countryman remains a compact SUV, but for those who want to combine the pleasure of driving a Mini with a versatile vehicle, you can’t beat the Countryman. 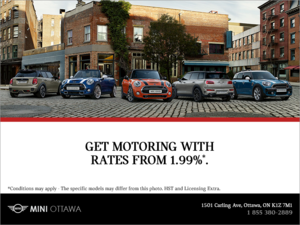 To learn more about the 2017 Mini Countryman, contact us today at Mini Ottawa!